High nitrate accumulation, sometimes referred to as old tank syndrome, can be a common problem for long time aquarium hobbyists. It usually occurs when regular maintenance and water change routines are ignored. This nitrate reduction method is an instant nitrate reduction water change method. You can reduce nitrates quickly to zero with no ill or harmful effects to established aquarium residents. In fact, the behavior of the tank inhabitants can improve greatly afterward. You may notice the fish will become more active, start eating better, and may display brighter colors within a few days. One important consideration before you start a massive (or any, for that matter) water change is to remember that you will also be changing the pH in your tank (probably upwards). Before beginning this water change, it is wise to slowly adjust your tank water pH to where it will be when you are finished. You can adjust the pH upward with common baking soda, or downward with one of the many products on the market to reduce the pH of aquarium water. This will prevent your tank critter from going through "pH shock," which can be fatal to more sensitive tank critters. This method was proven when an experiment was performed to test it. The test tank's nitrates were allowed to rise to a dangerously high level, literally off the scale, to observe the transitions the tank would go through. The experiment was successful. It allowed the testers to observe the formation of different algae. The established aquarium residents survived, too; a 15" snowflake eel, various types of hermit crabs and snails, a few crabs, two colonies of zoanthids, some non-living corals, and some live rock. The testers even added a newly mated pair of coral banded shrimp the day after completion of the water change procedure with no problems at all. Many people try to reduce their nitrate levels by performing a series of partial, 20 percent water changes. This will reduce your nitrate (or any other chemical substance) levels, but it is rather inefficient if the object is to reduce the levels to near zero in the shortest period of time as possible, with the least amount of water. For example, if you reduce the level of water in the tank to 20 percent of normal and then refill the tank to a 40 percent level, you have already reduced your nitrate levels by half. If you then refill the tank to the 100 percent level, your nitrate levels will be 20 percent of the original level that you started at. If, on the other hand, you reduce the 40 percent water level once more to 20 percent and then refill the tank, you will end up with a nitrate level of 10 percent of what you started with. Perform the 40 percent to 20 percent reduction once more, and you will end up with a nitrate level of 5 percent of what you started with. So, if you started out with a nitrate level of 100 parts per million and used this method, your 100 ppm nitrates would be reduced, in a short period of time, to 5 ppm, which is considered to be an acceptable level even for corals. Some people fear that the rapid reduction of nitrates would "shock" tank critters. This is an understandable concern, but under the circumstances, the rapid reduction of potentially harmful toxins in a tank is of the utmost importance. For example, it would be like standing in a closed garage with a car engine running, filling the garage with carbon monoxide. Then imagine someone telling you not to open the garage door since the rapid reduction in carbon monoxide levels is more harmful than reducing the carbon monoxide levels by 20 percent. The scenario is the same. 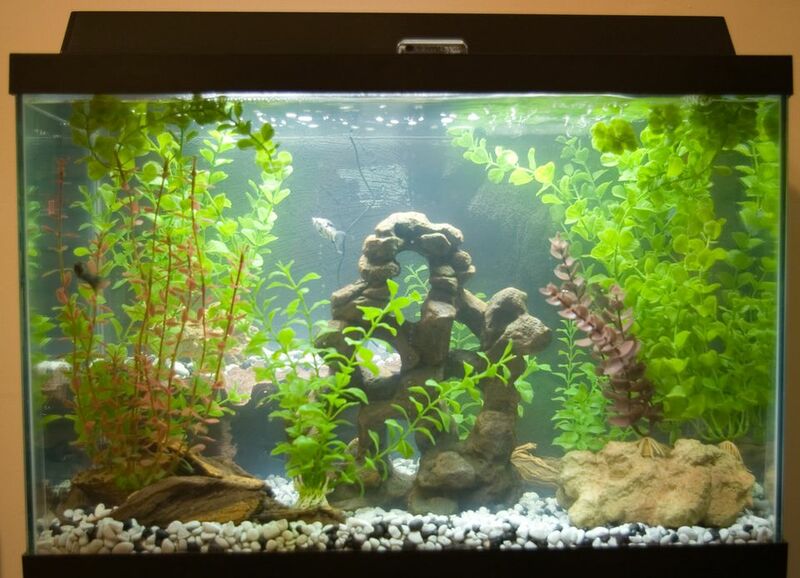 The fish and other tank inhabitants are swimming in a toxic substance that will kill ​based on exposure. Of course, the best way to avoid the urgent need to have to reduce toxic nitrate levels is to follow a regular maintenance and water change routine. If you find you are in a position where everything you have tried does not seem to work and rising nitrates levels continue to be a problem, give this water change method a try. You can be conservative while using this method, too. if you are concerned about "shocking" your tank inhabitants, you can always perform this process over a period of time (waiting a few days between each water change process) until the nitrates are reduced.